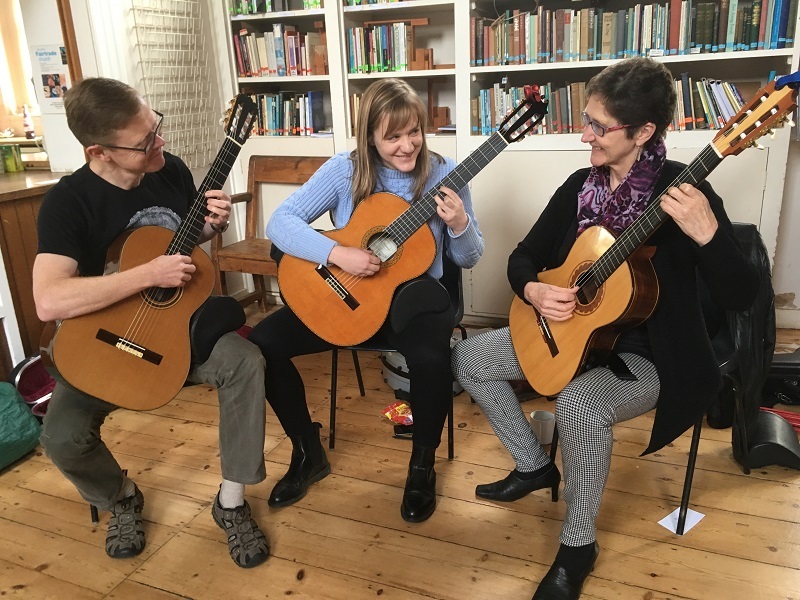 The next Dorking guitar workshop will be in a summer weekend of June 2019. I have an exciting idea! One that I’ve never tried before – but one that will be extremely memorable if I can get it to go ahead! Watch this space! The workshops are a great way to meet fellow guitar players, try out some solo repertoire, brush up on technique and maybe partake in some ensemble playing. I make a point of finding out what attendees like and schedule the day accordingly. Each workshop really is tailored to who will be there, so please, do contact me for more details and to book your place. You can also sign up for my newsletter to hear about forthcoming workshops.